Round brilliant cut diamond sourced. The clients had a funky green plastic ring which was much loved. They wanted to use this as inspiration for the engagement ring. 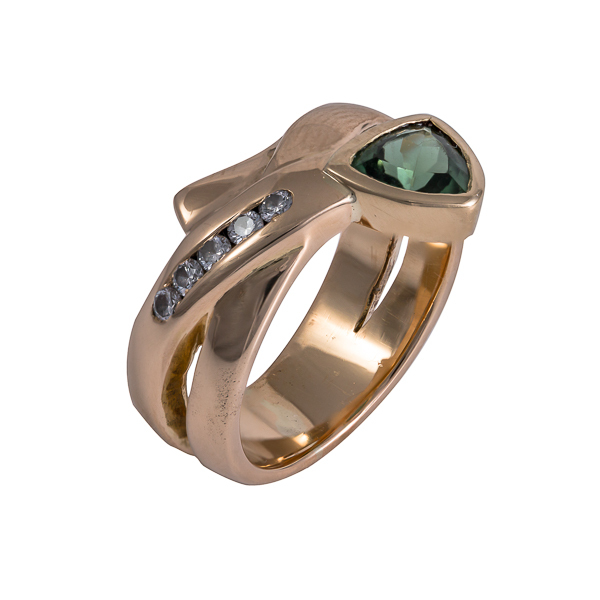 I sourced a the green tourmaline to represent the colour and scaled down the overall design. The diamonds we added for that extra sparkle.